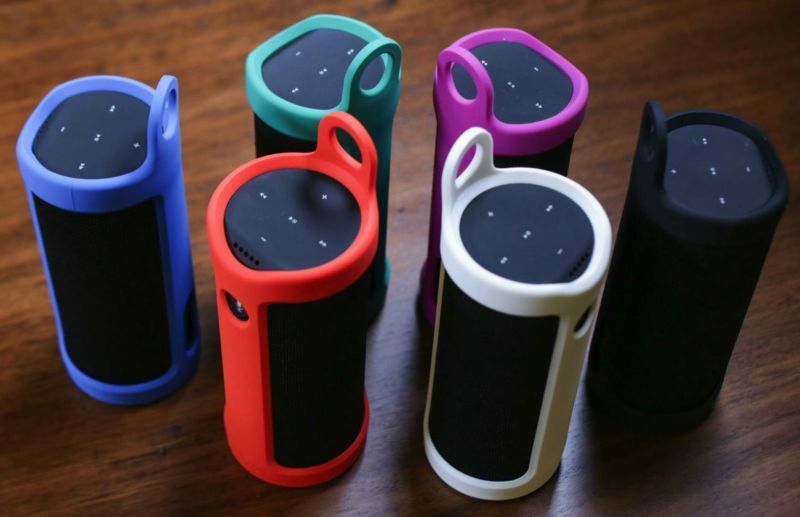 The Amazon Tap is a portable Bluetooth speaker that can be controlled with your voice. You can instruct it to play music, order products and services, control home automation products and connected devices, plus a whole lot more. It contains a button activated microphone for listening to your verbal commands. It also has Dolby stereo speakers for playing music. 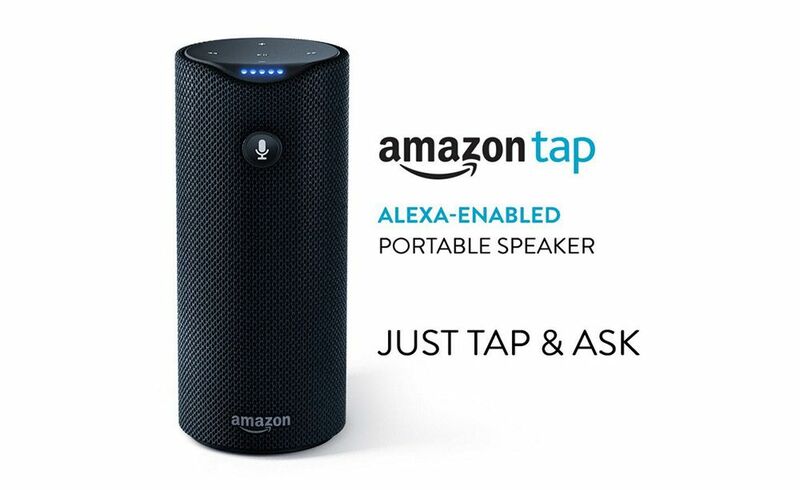 The Amazon Tap is basically the portable version of the popular Amazon Echo that was released last year. In this article, I will review the Amazon Tap pros and cons. I will review the Tap’s features and benefits as well as its disadvantages and drawbacks. My opinion will be based on using the Tap for several days, plus my previous experience with the Amazon Echo. Find out what I discovered, after the break. I find that the Tap understands my verbal commands accurately. This could be due to the fact that, since it’s button activated, I’m always very close to the device when I speak to it. Nevertheless, it’s nice that Tap understands me the first time. This was my experience with the Amazon Echo as well. The audio is surprisingly good for such a small device. I test portable speakers all the time and I’d say the Amazon Tap is as good as or better than the speakers in its price range. Don’t expect Bose type sound or deep bass levels, however. No other portable speaker device offers voice control and Wi-Fi streaming. Thus the Amazon Tap offers a tremendous amount of value over similarly priced portable speakers. This is especially true if you already have Amazon Prime and Prime Music. It supports many great services. Like the Amazon Echo that came before it, the Amazon Tap supports popular music services such as Prime Music, Spotify, Pandora, iHeartRadio, and TuneIn. Battery life has been good so far. I used it off and on for a couple days without charging it. I’ll post an update once I have come closer to testing the limits of the battery life. So far so good, however. No Voice Activation: As the name implies, you activate the Amazon Tap by “tapping” the microphone button. I can see why the device should work this way when you are on the go. After all, you don’t want random people in the public talking to your Tap, ordering pizza, requesting a Uber driver, or ordering groceries. I also suspect the battery will last longer if the Tap isn’t always listening for your voice. I just wish voice activation was available when the Tap is on its charging cradle. Alternatively, if I could activate the Tap with a Bluetooth headset or other Bluetooth accessory, that would be cool too. Amazon Tap doesn’t offer the best sound money can buy. By Bluetooth speaker standards, the Taps audio is fine. However, the bass level is uninspiring and audio can become distorted at high volumes. Thus, if you prefer having the best portable Bluetooth speaker in terms of audio quality, the Tap should not be your first choice. I’d love to see a premium version of the Tap with better audio. Perhaps Amazon can create the Amazon Tap Boombox! Perhaps a Boombox docking station?!?!? The Amazon Tap Sling cover is not a good accessory. The Sling accessory is called a cover even though it doesn’t cover much. You can’t charge the Tap when the Sling is on and attaching and removing the Sling is difficult. This makes the Sling pretty much unusable. This is not exactly a disadvantage of the Amazon Tap but I think it’s worth noting. Should You Buy the Amazon Tap? If you are in the market for a portable Bluetooth speaker that does a whole lot more than just play music, the Amazon Tap is the best choice available. It provides good sound relative to its price range, good battery life, and the unique ability to accept voice commands. It also has the advantage of Wi-Fi music streaming from your iTunes collection as well as from popular music services like Spotify and Pandora. The Tap’s audio is at least on par with speakers in its class, yet, it has functionality not available in any other portable speaker. If you already have Amazon Prime, the Tap has another advantage over similar devices. Your Tap will have instant access to a large library of music via Prime music. While I think the Tap is great at what it’s supposed to do, the lack of voice activation will probably surprise and disappoint many people. This is especially true if they have used the Amazon Echo. If you want the ability to talk to your speaker without touching it, you should get the Amazon Echo or Echo Dot instead. I ordered the Echo Dot and will post a review after I test it. Do I recommend the Amazon Tap? Yes, but only to people who are shopping for something that is more a portable speaker with the Echo feature than a portable Echo with voice activated control. The nice thing is, once you start streaming music to the Tap, you probably won’t want to talk to the device for a while anyway. Thus is may not too much a hassle to walk over to the device rather than speak to it from a distance. For the most part, I plan to use my Tap for playing music from Prime Music and from Spotify. I will mostly use the device at the pool, when I’m washing my car, at the dog park, and during my next vacation (in the hotel room and at the beach). We’ll see if I keep it or if I re-gift it. How Would I Improve the Amazon Tap? Allow voice activation when the device is plugged in. Allow Bluetooth headset or other Bluetooth accessory to activate the Tap. Allow us to daisy chain Echos and Taps for surround sound support. Allow Tap to initiate a Wi-Fi connection to my phone using Bluetooth. Q: What’s the difference between the Amazon Echo and the Amazon Tap? The Amazon Echo can be activated with your voice only. The Amazon Tap can only be activate by tapping the microphone button. The Amazon Tap has a rechargeable battery and is portable. The Amazon Echo relies on external power (i.e. a power outlet). The Amazon Echo has better sound quality than the Amazon Tap. For the best audio, however, you should get an Echo Dot plus a pair of nice speakers. Q: Which should I get? Amazon Echo, Amazon Tap, or Echo Dot? If you want a portable Bluetooth speaker that you will use away from home, get the Amazon Tap. If want to connect your Amazon voice controlled device to external speakers to get premium sound, get the Echo Dot. Otherwise, if you want a stand alone, voice activated and controlled speaker, get the Amazon Echo. Q: Is the Amazon Tap always on or do you have to “tap” it to activate it? As of this writing, Amazon is only activated by “tapping” the microphone button. It doesn’t support voice activation, as of this writing. Q: Does it work with my existing Echo? Amazon Tap does not connect to or interact directly with Amazon Echo or any other device. However, Amazon Tap can be connected to the same Amazon account and to the same Wi-Fi network as an Amazon Echo or any other Amazon device. Simultaneous access to paid services may be limited however. Q: Are there any costs associated with using the Amazon Tap? You don’t have to pay anything to use Amazon Tap. However, some of the connected services may require a fee in order to access those services with Tap. Q: Does Amazon Tap require Amazon Prime? No. Amazon Prime is not required in order to use Amazon Tap. Amazon states that the Tap’s battery will last up to 9 hours of active use and up to three weeks of stand by time. Q: What languages does Amazon Tap understand? Amazon Tap only understand English as of this writing. Q: What services does Amazon Tap connect to? Q: Does the Amazon Tap work with iTunes? Yes. Amazon Tap can stream music from iTunes. Q: Does Amazon Tap work with other speakers? Q: Does tap work while I’m driving? A: Yes. You can use it as a Bluetooth speaker for your smartphone or other device. You can also use voice control and Wi-Fi streaming if the Tap is connected to Wi-Fi or a mobile hot spot while in your car. Are you going to buy the Amazon Tap? Let us know in the comments section if you plan to buy the Tap. If you already have the Tap, let us know what you think about it. Feel free to post questions about the Tap as well. One last thing. Here’s a great video overview of the Tap. Enjoy.